Cuisinart 13-Piece Cookware Set Just $120.91! Down From $540! PLUS FREE Shipping! You are here: Home / Great Deals / Amazon Deals / Cuisinart 13-Piece Cookware Set Just $120.91! Down From $540! PLUS FREE Shipping! Don’t miss your chance! Amazon offers this Cuisinart Contour Hard Anodized 13-Piece Cookware Set for only $120.91, down from $540.00 PLUS FREE shipping! Maximize the volume and cook with added flair with this unique cookware! 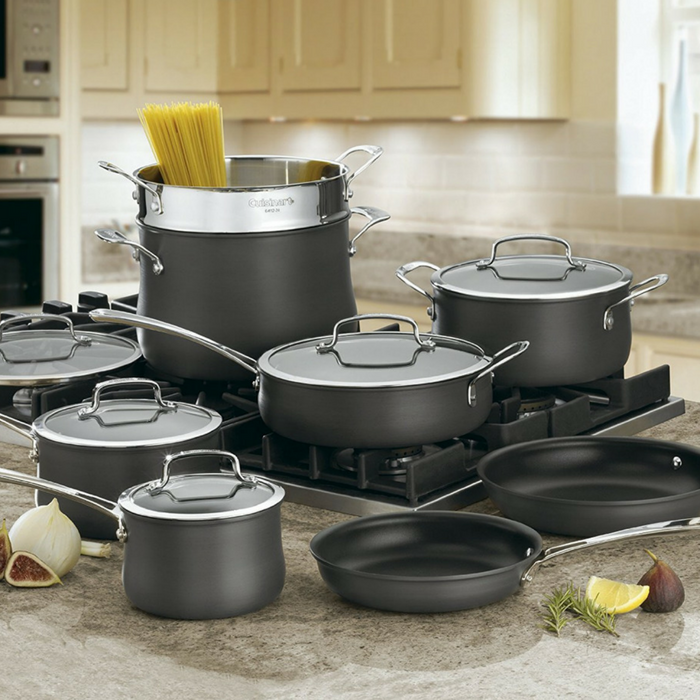 The Cuisinart Contour Hard Anodized 13-Piece Cookware Set is premium cookware that features the finest materials and constructed for unsurpassed durability and performance. Beautifully and functionally designed, the elegant styling and a robust silhouette make for a professional look. Use on the stovetop, in the oven, or under the broiler. Oven safe up to 500°F and freezer safe.